As you probably know, I am recovering from a heart attack. Here is the series of events that I’ve experienced in the last couple of months. I was diagnosed with Type 2 diabetes about eight years ago. Incidentally, as a warning for others, it came about because I was experiencing terrible leg cramps, especially at night. That was a result of dehydration in my muscles, which was caused by the body expelling water to dump excess sugar into the bloodstream. That and intense and pervasive thirst are classic symptoms of diabetes. For the most part, I have been fortunate to keep my diabetes well within control over the years via a combination of medication, good meal choices, and reasonably diligent diet control. However, I began to notice an escalation in my blood sugar count beginning in July. I more or less shrugged it off and vowed to maintain a better diet. But due to poor self-control, my diet did not improve; on the contrary, from about November on, my sugar intake increased (holidays and all that). Whereas my blood sugar numbers should have been 110-120, I was experiencing regular 200+ readings and could not bring them down. Finally, on December 31, having experienced massive chest pains four days before and an extraordinarily high blood sugar reading that morning, I walked into the emergency room at the local hospital here in Hendersonville, NC and asked for help controlling my blood sugar. They put me in a bed and took all the normal readings. The emergency room physician questioned me carefully and soon discovered the chest pain event I’d had, which led him to do a specific test measuring an enzyme that the heart produces when it has experienced an attack. Sure enough, my reading came back 25 times normal. “You’ve had a heart attack, my friend,” he said. “Why didn’t you come to the hospital when it was occurring, especially since it lasted all day?” I replied that I’d had none of the other classic symptoms of a heart attack and just considered it to be a bad muscle pull or perhaps a tear caused by my dog who loves to jerk on the leash when I walk her. As a warning to you, ANY sharp and lasting chest pain is dangerous and should result in a trip to the hospital as soon as possible. I was taken to Mission Hospital in Asheville, about 25 miles north, which fortunately is one of the finest heart hospitals in the country. There, over the next three days, I was examined, poked, prodded, given this medication and that EKG and ultrasound and so forth. They withdrew blood from my veins virtually every three hours around the clock for heart testing plus a smaller sample from a finger at the same interval for sugar testing. At one point my sugar count was 414, which is quite dangerous, and at another it was 60, which left me shaky, weak, and mind-fogged. Finally the staff got me stabilized and I was allowed to leave the hospital yesterday afternoon, January 3rd. The upshot is now a highly regulated lifestyle, with careful sugar and carbohydrate counting, specified food combinations and the exclusion of others (goodbye pizza, ice cream, pasta, bread, rice, cookies, chips, etc. ), blood sugar testing and self-injection of one of two types of insulin four times daily, and ingestion of copious types of pills for heart health. It’s not a pleasant routine, but it’s absolutely necessary for the preservation of my heart, life, and health going forward. One fact is very important here. The cardiologist who performed a catheterization in the hospital told me that I have 100% blockage in one of the two main arterials which feeds the heart and 30% blockage in the other. Normally I would have been immediately taken to the operating table and undergone a double bypass operation. That’s a very difficult and precise procedure which involves at least a six-month recovery and can produce quite dangerous after-effects, some of them fatal. But because of a workout habit and the fact that my wife Sue and I have regularly walked 2-3 miles, 3-4 times a week up and down the hills of the Hendersonville area from April until the end of November, followed by daily walks of 1.2 to 1.5 miles (depending on the track we chose) with our new dog Mandy, my heart developed a number of “collaterals.” These are mini-arterials which bypass the bypass and enable the heart to receive the oxygen and nutrients it requires to function. In essence, the walking saved my life. It certainly saved me from a massive operation. 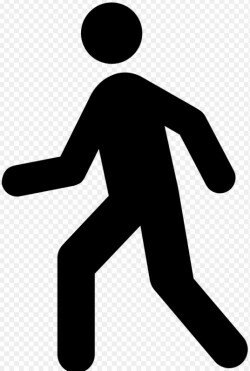 Instead of surgery, my heart-healthy therapy going forward consists of the medications and regular (even increased) daily walking. Clearly my blockage was caused by diabetes. The doctors have confirmed that. But whatever the cause, the walking and a reasonably healthy diet overcame the danger caused by the blockage and kept me ticking. The undeniable lesson here is WALK! Walk at least a mile every day, even if that means a trip to the indoor mall in bad weather. A brisk pace is better than a stroll, but a stroll is far better than being sedentary. You just never know what’s going on with your heart; my cholesterol numbers were always very good even while the blockage was building. Walk, walk, walk! Under any circumstances your heart will thank you, and under the most extreme circumstances (like mine) it may well save your life. I am grateful to my Lord Jesus for being with me all through this and for sending me the warning signs that led me to the hospital. He is always faithful, just as He promises. May God bless you and your health in this next year and beyond.